If you are an instructor, you may want to create your own salon. A salon can be created to support any component. A course, a learning unit, a reading, group of students, a topic, whatever you want. Wikipedia defines salon as a group of intelletuals gathered to discuss a topic of interest ( Wikipedia definition of salon). Classroom Salon attempts to create the same intellectual and collaborative environment using an online platform. Creating a salon is easy. Follow the steps below. 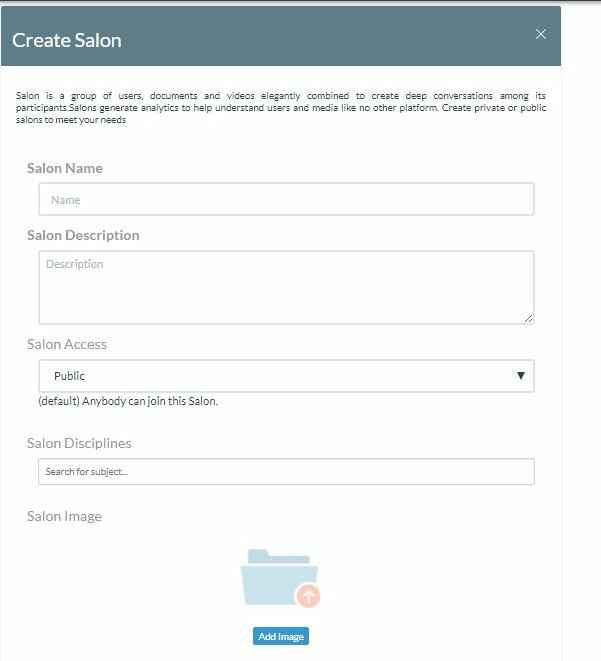 From the home page click on “Salons” or “Create a Salon” options as shown below. In the window (as shown below), enter all required information. The following fields are required or optional.